The Dancehall-Dubstep Riddim by greek label Cast-a-Blast got remixed by various producers from Europe! 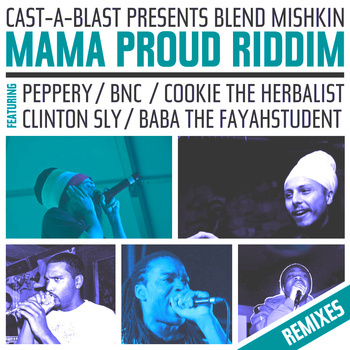 The Riddim, orginally produced by Blend Mishkin, features tunes by upcoming Reggae and Dancehall Artists Peppery, BNC, Cookie The Herbalist, Clinton Sly and Baba The Fayahstudent. On the Remix Album are Jungle, Breakbeat, Dub/Dubstep, HipHop, Moombahton and Reggae versions of these tunes . Follow the player below to their bandcamp to download your copy for free.